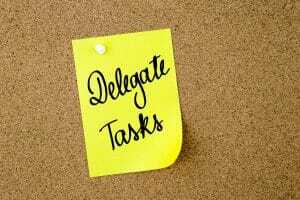 To be successful in business, mompreneurs need to delegate tasks. When you launch a business, you are focused on your product or service more than how much time you are working. It’s common in the launch phase of business to work around the clock. It doesn’t really dawn on most new startups that eventually they’ll need to delegate certain tasks to hold onto their sanity. Here are five tips to help mompreneurs delegate tasks. I am a solopreneur of my own Professional Organizing Company and I know in order to grow my business, I will need to hire helpers and delegate more. I struggle with relinquishing control and having someone other than myself representing the face of my company. Also, my clients hire ME and expect ME to be facilitating their sessions. How can I determine which tasks to delegate and which I must hold onto while maintaining my sanity? When you are in business for yourself and enter the early growth phase of business, you feel it because the amount of necessary work you must do outweighs the time you have in a given day or workweek. At this point you’ll do best to begin to shift your perspective about control itself. Often the missing ingredient to delegating successfully is a missing mindset. Guaranteed, the same efforts that you used to launch your business will NOT work in your favor when you’re ready to grow, leverage and multiply your marketing attempts. If you’re experiencing your own resistance to delegating, perhaps it’s time for some mindset work. There are many ways to shift your mindset and gain perspective in life. Some people choose passive tasks such as journaling and meditation. Others choose to go straight to solutions and hire a business coach to help them over the hurdle. Gaining perspective by stepping back from the daily grind will certainly offer you insight. When you delegate appropriate tasks to the right people, you will indeed gain MORE control of your time. So perhaps a mindset shift is what you need to begin thinking a little differently about delegating. Secondly, when you get ready to delegate tasks, begin by reviewing all the non-revenue generating (yet time consuming) tasks you do regularly. 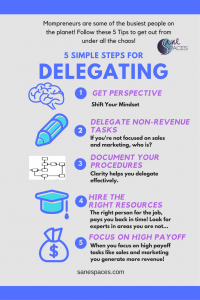 Tasks such as blog posting, website edits, scheduling, and administrative things like bookkeeping are excellent tasks to consider delegating to experts. If you can find someone else who is better at a task than you, and who can complete it in less time… it’s a good indication that you should delegate that task to someone else. If you’ve already determined the tasks you’d like to delegate and arranged for help, you’ll need to document your business procedures to clearly articulate roles and responsibilities to others. It’s easy to document your business procedures. To do this, brainstorm a list of tasks down the left side of a page, then write out each procedure step by step. To take it to a second level, you may think about writing a company mission and developing your business values if you do not already have them. Your mission and values, will work with your procedures to clarify your brand message. Articulating these clearly and succinctly will ensure your thumbprint is on everything you do. You’ll bring your mission forward through others as long as you’ve taken the time to articulate clearly. 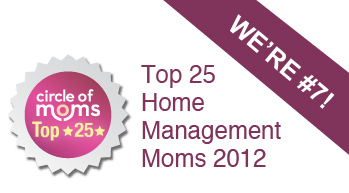 Most work from home businesses are mompreneurial: mom-owned and operated! One thing I suggest you start doing is to create a procedures manual. Start with the easy tasks such as email follow up, newsletter writing and blog posting. Then move into your sales process from initial contact to close. By outlining it on paper, it will give you a more accurate picture of what you do and how you care for clients. Once it’s on paper, it’s easier to discuss, tweak, and share or delegate to others. I use a combination of Google Apps and Asana to manage the procedures now with my team and it makes everything consistent and accessible from anywhere. Finding help is one of the most challenging tasks businesses owners have. It’s a process, and has learnable steps, but can lead to breakdown and heartache when there is a mismatch. If you consider yourself a ‘control freak’ and are worried about maintaining (or more aptly losing) control, here are two things to think about. You will have more control if you arrange an employment relationship with people in business. By hiring someone as an employee, you can direct every part of their work, train them and provide exact procedures for them to follow. If you plan to hire contractors, many of those ‘specifics’ must be relinquished. According to the government, a simple definition of a contractor is a person who is hired to perform work or to provide goods at a certain price or within a certain time. It assumes you hire people who are experts at what they do. Often when hiring contractors, they know more about the ‘how’ than you do. So clarity with WHAT you want accomplished, how often and by when is essential to you hiring the right resource to support your business. Your job as a business owner is to stay in business! Marketing your great business to new and warm leads, serving clients and selling products and services should be your top 3 goals and where you spend most of your time! You will sell your products and services better than any others. When you delegate administrative tasks to helpful, talented support people, many solopreneurs find the time to retain control of all or most of the client facing sales process and nurturing their clients. Bit by bit they can delegate marketing, social media, communications and client nurture processes. 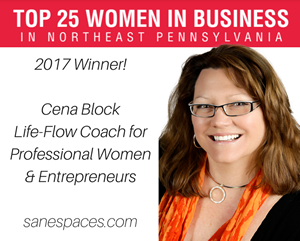 But it’s been proven that mompreneurs do best to initially meet clients to assess their needs, and then once the sale is closed, determine which parts of the follow up processes must be handled and which can be delegated to others. 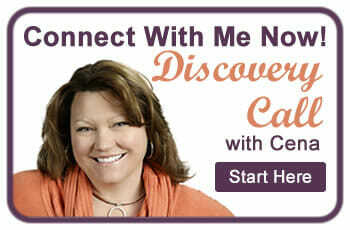 Are you ready to finally stop doing everything yourself and get the support you need? Which of these 5 tips will you start implementing this week? Please let us know in the comments below!